Whether it’s exploring the Mediterranean coastline, cruising along the canals of Venice, or discovering the ancient wonders of Rome, our carefully selected escorted tours to Italy represent good value utilising our tour partners local knowledge and expertise to make the most of your holiday. With all-included accommodation and transportation on selected tours, Italy Touring take care of all the details so you don’t have to. 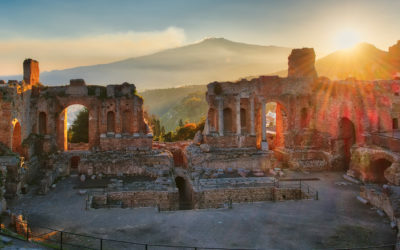 Italy Touring offers a diverse range of escorted and semi escorted tours from our partners based in Italy, each with their own unique itinerary and set of activities. Relax, enjoy the sights and meet like-minded people on our escorted tours while we do all the work for you. We understand the joys of travelling and the delight of exploring a place you’re unfamiliar with. Let the tour guides pave the way and provide you with knowledge about the breathtaking sites and historic treasures you’ll encounter on your journey through Italy. Discover the highlights of beautiful Puglia; with it’s whitewashed villages, stunning extended coastline, Medieval influences and ancient olive groves. Visit three of Italy’s iconic cities; the eternal city of Rome, the grand Renaissance city of Florence and the city of love, Venice. Experience part of the real Italy; Eternal Rome and the rolling Tuscan hills, stunning coastlines, Renaissance masterpieces of Florence and surreal Venice. Offering the best of Italy; with stunning countryside and breathtaking cityscapes, fine food and wine and inspirational art and architecture.